A frequent subject of these pages (cross-reference below) how instructive it was to hear Vassily Primakov’s Schubert and Schumann discs back-to-back. In this generous sampling of Schubert’s far-ranging dances and extra-personal impromptus, the former took the edge while the latter whet the appetite for future career development. 14 Waltzes (a compendium drawn from D. 145, 146, 365, 779, 979 and “ordered” by Primakov) is awash with moods, colours and emotions: happy, joy, coy, shy, burbling, delicate, vivacious, stately, coquettish, thoughtful, confident, swagger, doleful, precocious—all of these come to mind, revealing the gems these “wee” works can actually be (if in the right hands!). Mentor Vera Gornostaeva was the complier for two sets: 13 Ländler (variously from D. 366 and 390); 12 Waltzes (selected from D. 145, 365, 924). In both, there is a marvellous feeling of time travel within Schubert’s genius for giving “simple” constructions incredibly varied lines, hues and textures. In the Ländler—a delightful collection of bonbons—Primakov’s touch and instinctive sense of tempo bind the music together just as much as Gornostaeva’s deft use of the master’s modalities (placing G-sharp minor at the core; transposing D. 366, No. 10 down a tone to assist the seamless result) reinforce the ebb and flow of the component parts. Similarly, the 12 Waltzes feature the aural/harmonic glue of E flat/D sharp—even a foreshadowing of Brahms’ (no stranger to waltzes himself) second symphony—and an energized performance by Primakov that produces wave after wave of deceptively “easy,” immediate art. A touch of perfectly rendered sauciness is the literal icing on this short-form cake. 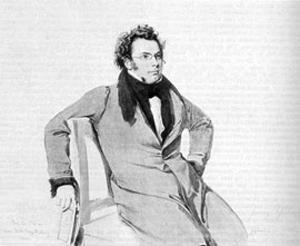 Interspersed amongst the compilations are six of Schubert’s magnificent impromptus: 2 from D. 935; 4 from D. 899). These works have been constant companions of JWR since first hearing them many decades ago. There is never a dull moment in the writing and always something new to discover. Of these, by far the most successful is Impromptu No. 3 in G-flat major. Beautifully voiced throughout, there’s an exquisite feeling of quiet hope, produced largely by forward-thinking motion, ideal harmonic wait/weight and masterfully rendered trills. Primakov and Schubert are clearly at one with each other. For the rest, there’s an overabundance of affectation that too frequently hampers the architecture and long-line direction that is at the heart of the writing—particularly within the “two-section” structures. If, for example, the first section of Impromptu No. 4 in A-flat major is given with more of a straightforward, matter-of-skill manner then the push-and-pull of the contrasting “answer” would have been as welcome as spring rain in its balance to all that comes before and after. Nonetheless, there is much to admire in all of the impromptus, but with the glorious promise of No. 3, the ear becomes greedy for more of that ilk. Just in his mid-30s, there is ample time for that hope to be realized. To launch the Schumann disc, Primakov serves up an engaging, detail-rich performance of Carnaval. The A.S.C.H-centric collection of bio-autobiographical sketches (fed by the composer’s early literary attempts and a sometime infatuation with Ernestine of Asch), is a fine addition to the catalogue of Schumann’s burgeoning art. Particularly memorable is the control shown in “Valse noble,” the gently personal “Eusebius,” moments of teasing and unabashed fun in “Coquette” and the deeply felt “Chiarina” which never comes near the land of saccharine sentimentality. With copious amounts of power bookending the suite (“Préambule,” “Marche des ‘Davidsbündler’ contre les Philistins”) there is a most convincing air of departure then arrival—the entire journey filled with a vast array of intriguing characters and musical characterizations in between. Completed just three years after Carnaval, Kreisleriana shows remarkable advances of harmonic tension and a deepening well of intellect and emotion. Primakov is very much in his element with this wide-ranging essay. Absolutely unforgettable is the second movment, “Sehr innig und nicht zu rasch” (“Very inwardly and not too quickly”). Its wonderful aura of calm quietude and painstakingly balanced voices is expertly foiled by emphatic outbursts and reluctant resolutions, which all find their mark. The final transition to repose is a miracle of understanding and demonstrates the pianist’s ability to let the lines find their way home. Along the way there are ample displays of superb technical control (it all sounds so effortless! ), introspection trumping boisterous “punches,” pensively searing lines (wonderfully flowering into song) and a hint of “Danse Macabre” as well as a fond, marvellously understated adieu (almost overshadowed by full-bore declamations) until boiling passions are soothed, then everything readily disappears into the night.